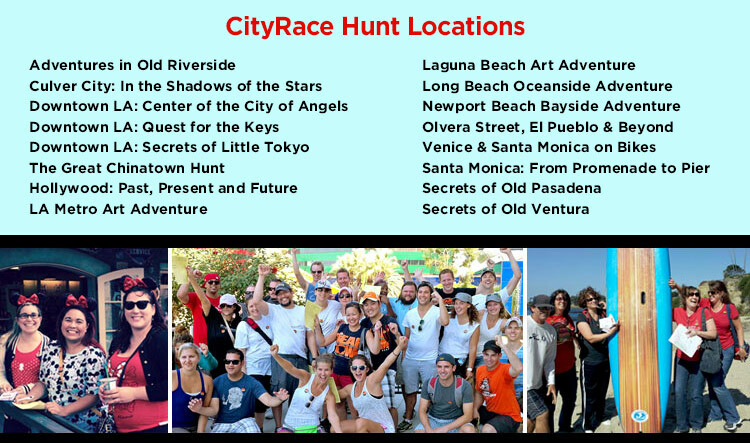 In CityRace Urban Adventure Hunts, teams of 2 to 4 players must utilize their skills to solve a challenging series of clues leading them on a 3-hour hunt through one of southern California's many diverse neighborhoods. CityRace Hunts will require your best sleuthing skills, plus a dash of brainpower: you'll crack codes, solve challenging puzzles, uncover little-known facts and more... all while racing against other teams to be first to the finish with the most correct answers! 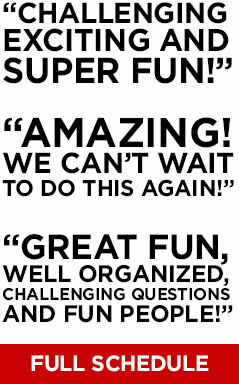 Every team will receive a packet of clues at the start of the hunt that will range from moderately easy to challenging. 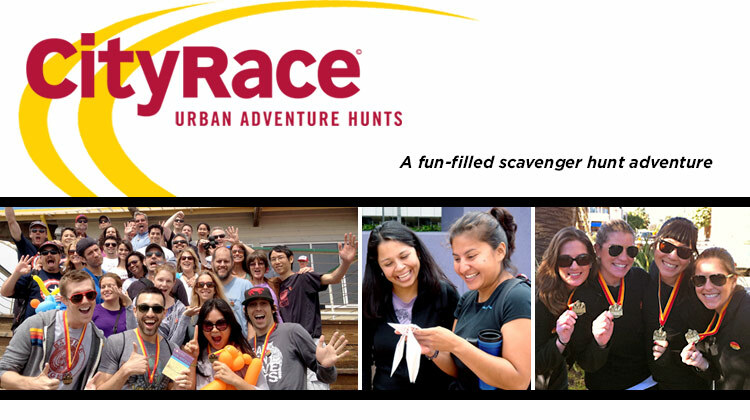 CityRace clues will lead you to various locations around a neighborhood of the city. Once there, you'll usually need to answer a question about each location, proving that you've found it. Points are given for each correct answer. Some hunts also include an opportunity to gain bonus points by collecting "scavenger hunt" items, taking photos, or other unique twists. The first team to reach the finish line before the three hour time limit - with the highest number of points - is the winner! You can solve your clues in any order you wish. It'll be up to you to strategize how best to use your time - and each other - to correctly solve as many clues as possible.